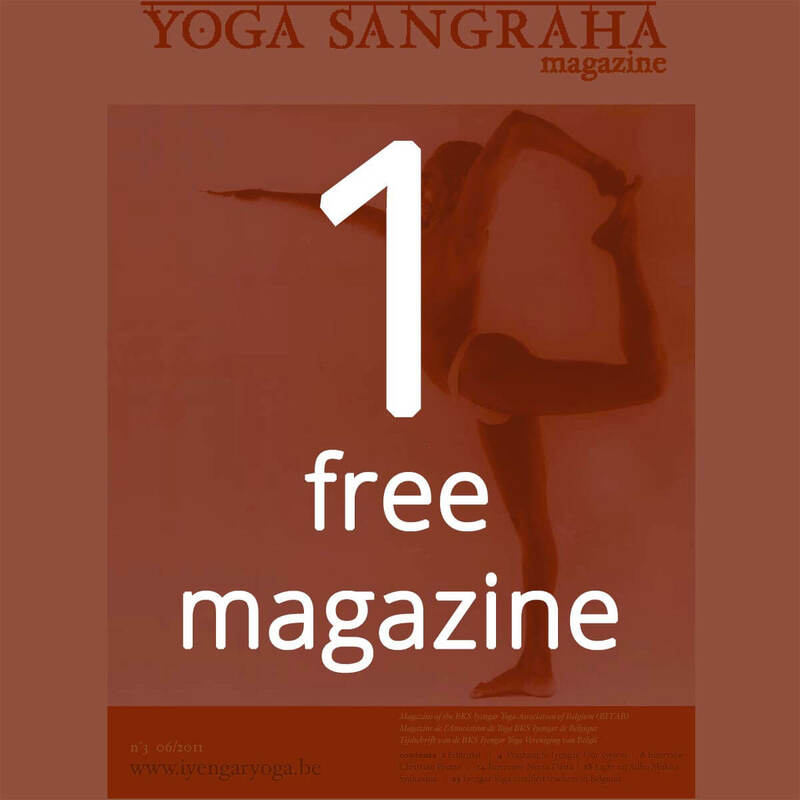 The Yoga Sangraha magazine is the annual magazine of the Belgian Iyengar Yoga Association (Biyab). Volunteers take care of all the realization of this work for the benefit of the members of the association who have paid their annual membership fee. 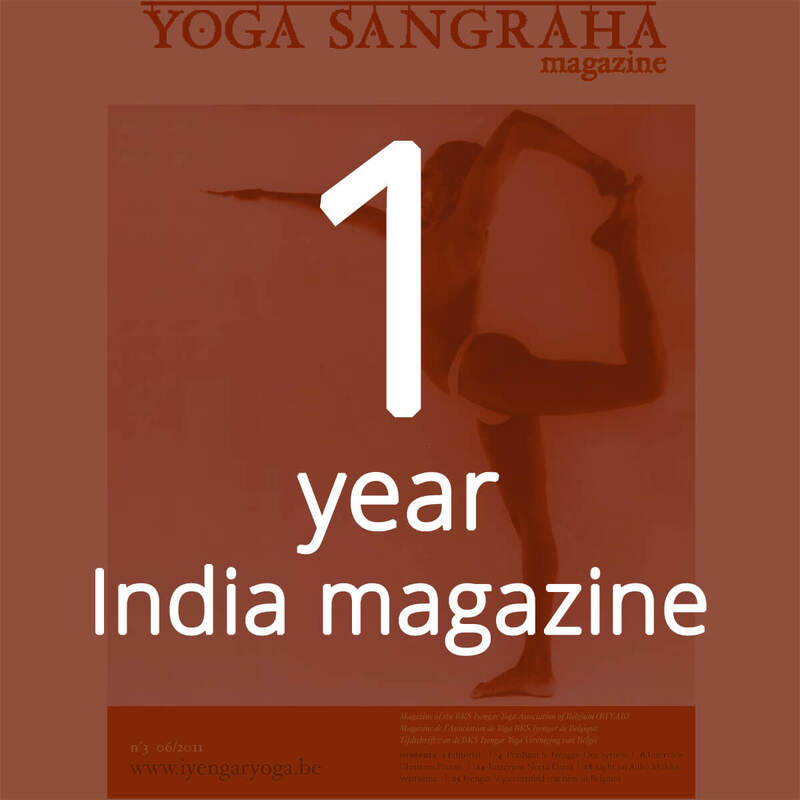 Through this magazine, we hope to provide every time a different light on the practice of yoga Iyengar. We publish interviews carried out during the passage in Belgium of Indian teachers and others from the whole world. We seek in each issue to put forward a new theme which is then fed with articles from the Iyengar family.You can read the old issues here. To achieve this, we still need translators; reviewers and people who can bring texts on Iyengar yoga to provide food for thought and share it with members, as well as illustrations and photos. Want to participate? Send an email via the contact page! 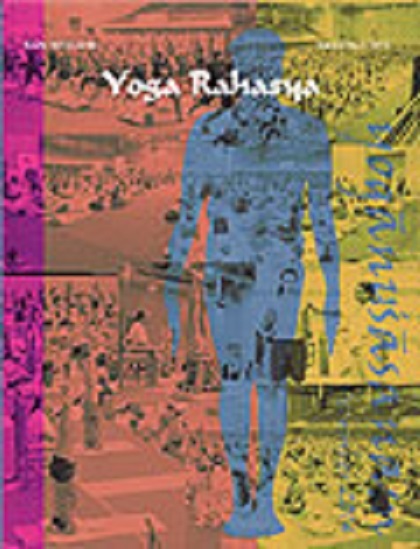 Yoga Rahasya is a quarterly publication of the Ramamani Iyengar Memorial Yoga Institute (RIMYI), Pune and the Light on Yoga Research Trust (LOYRT), Mumbai, India. It is published on the occasions of the Annual Day of RIMYI, Hanuman Jayanti, Guru Purnima and Patanjali Jayanti. 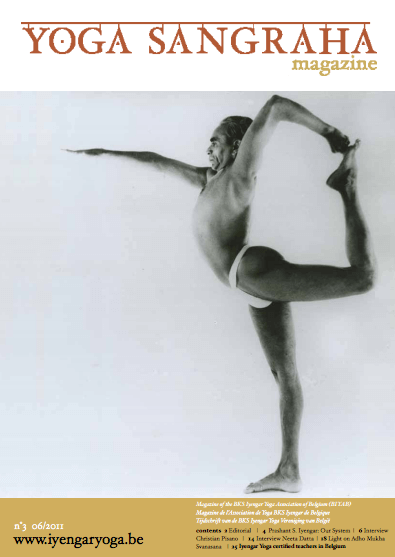 The aim of Yoga Rahasya is to share the essence of Yogacharya BKS Iyengar’s teachings. This journal contains original articles and transcripts of talks by Guruji Iyengar, Geeta and Prashant Iyengar on philosophy, psychology, science and art of yoga and life. It also includes articles by his students on their experiences, practical details on the practice of asanas as well as treating chronic ailments through yoga. You may order this magazine via this website. You may have access to the table of contents of already published magazines through this link.